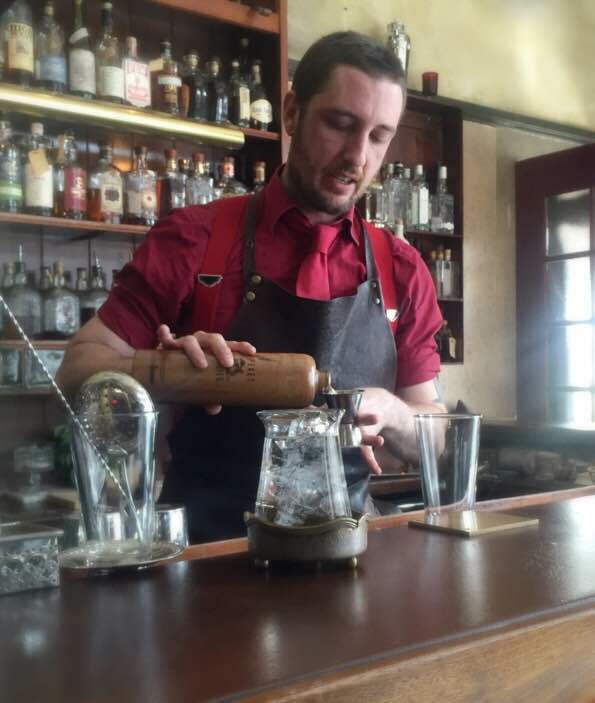 Michael Shone, is bartender at Salon 39 in Copenhagen. 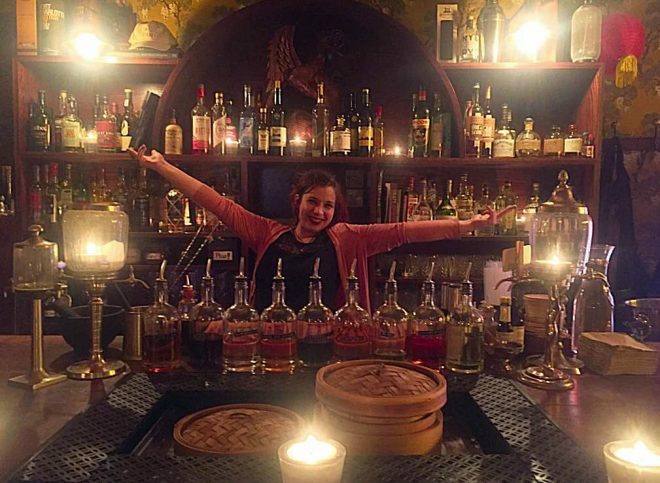 He makes two cocktails for us, one with rum and curacao, and the second is with genever and leek. 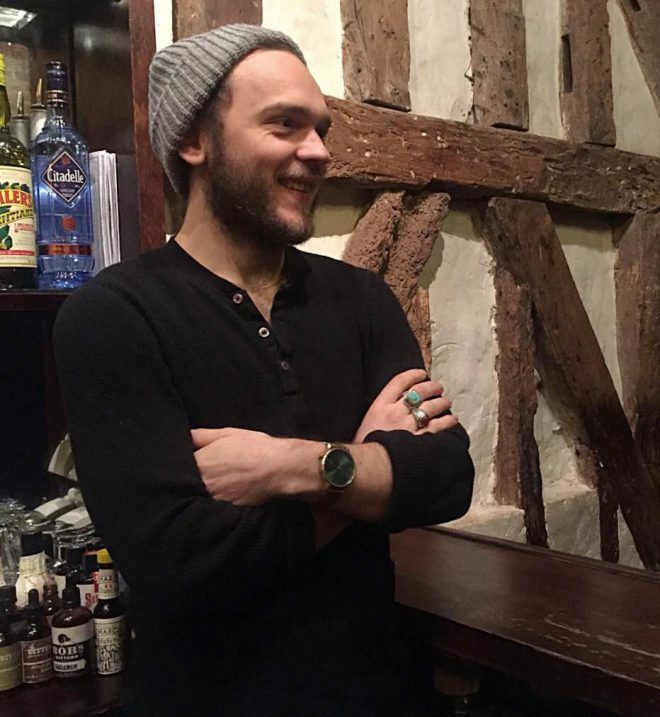 Maxime, is the head bartender of Experimental Cocktail Club (ECC) in Paris. He makes two cocktails for us, one with sherry and antica formula, and the second is with verjus and cognac. Rafa, is the owner of BrassClub in Palma de Mallorca. 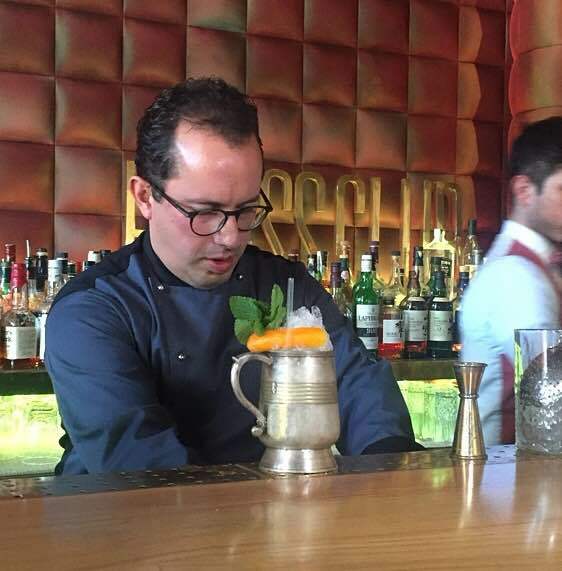 He makes two cocktails for us, one with vodka and amaretto, and the second is with whisky genepi and palo tunes de Mallorca.